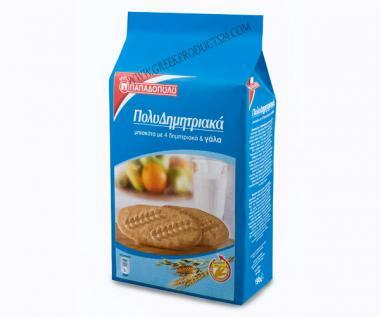 Multicereal Biscuits with 4 cereals and milk. Four nutritional cereals together with milk, calcium, vitamins and trace elements to offer you an ideal choice for your breakfast. Combine them with a yoghurt and a fruit and a balanced breakfast is yours!